3 Dinosaurs posted this challenge on their facebook page and I loved it because the challenge is that mom’s and dad’s do the 30 mins a day with their kids. So no watching your kids dance/ jump on the trampoline, moms and dads have to do it with the kiddies. We are going to be joining in, if you are keen take a look at the original post where 3 Dinosaurs give some great ideas of fun things to do with the kiddies. 30 days of moving post. We got an early start on our challenge by playing our Quoits game, digging out our Tiger feet (bought from ELC here in the UK) and we had a blast. The kids really do love it we join in. So time to get moving !!!! Kew Gardens and Richmond Park here we come. 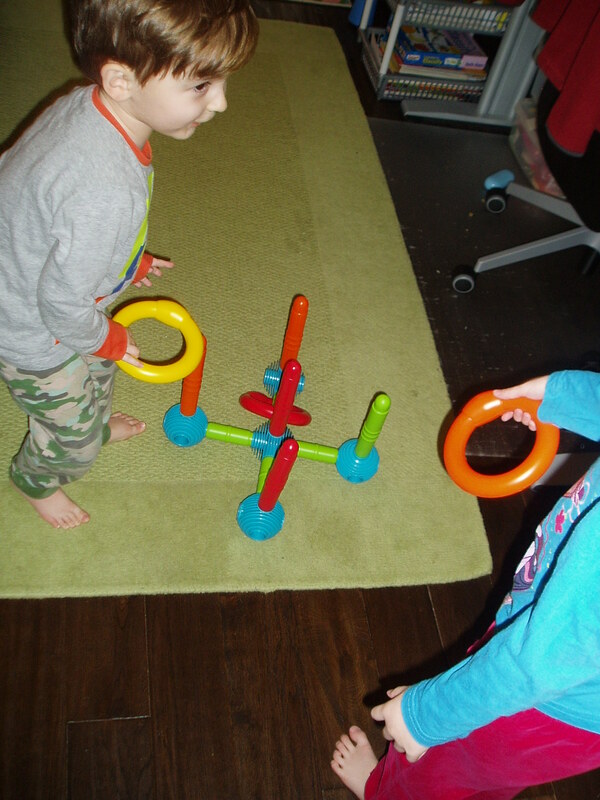 This entry was posted in Homeschooling and tagged 30 day challenge, gross motor. Bookmark the permalink.